Eating; What’s Feeding Your Belief? “People with beliefs don’t shift beliefs based on scientific evidence. The key is to get at what is driving and feeding the belief.” Rudi Verspoor I have served a number of clients who are staunch vegans, vegetarians or animal activists. When the topic of resonant regimen comes up and we discern that the person is an “O” Blood type, or suffering a weak immune function (scientific code for “sense of self”) and eating as a vegan, I brace myself for the emotional reaction before I suggest that they are potentially going to run into health issues if they don’t introduce red meat into their diet. I had one mystical ‘peace and love’ patient react so angrily that she told me that she was going to meditate on changing her blood type from an “O” to an “A.” I wished her luck in that regard, however, in the interim, I suggested that she needed to look at the the consumption of red meat for the digestive issues she suffered. She suffered gall bladder attacks as a result of harbored anger and the weekly volatile arguments she was having with her boss were clearly destabilizing to her. Having the heart of a farmer, and a love of human beings over animals, I have chosen to be a steward to the animals in my care. Yes, we named our beloved pets, even when they were designated for humane slaughter. Our ducks, chickens, lambs, donkey and horses were a source of pride, nurturing myself and my family with eggs, raw milk and beautiful meat for our table. I gave thanks each time I assumed their offering into my consciousness to furnish me with the thoughts it takes for me to fashion this blog article or researching the book I’m writing. I am very fortunate to know such abundance in my life and on my table. However, an angry fired up vegetarian will tell you that the animals in my care had no choice in the matter at the time I covet their eggs or slaughter them for meat. When it comes down to it, animals don’t want human choice, or they’d be born with an ontic organization (sense of self). As per Rudolf Steiner, each animal species shares a group soul, as opposed to the individual soul that each human being has. That’s how dogs know to wag their tail … one doggy-mind tells them to. One patient, who used to come to my home, once told me it was cruel for my Samoyed dog to live outside in the Winter, although her breed hails from Siberia and she is designed for the cold, he would not listen. I tried to explain that her three layers of downy fur would thin if I brought her in doors causing a compromise in her health and well-being. 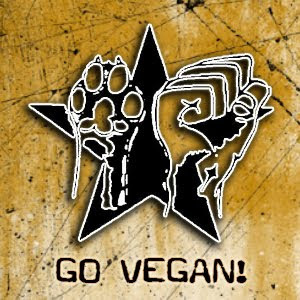 I began to wonder where the animal rights activism line begins and ends? What I realized is that it doesn’t end and if the animal rights folks, and environmentalists, actually had it their way, they would exterminate the human race. They are in fact anti-human! Thomas S. Derr, a member of the Editorial Advisory Board of FIRST THINGS, is a Professor in the Department of Religion and Biblical Literature at Smith College. He wrote an article entitled, Animal Rights, Human Rights where he states, “Although many advocates of animal rights do argue that this revolution in ethical consciousness is for the benefit of the human race as well as the animals, there is nevertheless a persistent strain of anti-humanism in their movement, particularly, as we have seen, when it is joined to deep ecology. We human beings are not necessary to nature, which would be better off without us, evil creatures that we are. Nor is the defense of civilization an acceptable excuse for placing human concerns ahead of the rest of nature. “What I detest is humanism,” says Clark bluntly. Human personality and civilization “seem frankly psychopathic.” No doubt. In his mind, he’d rather cancel out the complications associated with diverse human emotion. It is interesting to me that animals represent our desire function, our astral body, as per Rudolf Steiner, and are a great barometer to discern our level of fulfillment in our lives. Animals living in captivity will even take on our human diseases as they operate through our consciousness, being devoid of their own, and I’ve had patients react with surprise to realize their their symptoms show up in their animals if we transfer human qualities onto them. For example, animals in the wild rarely die of cancer, heart disease, or arthritis. In Lecture IV of the “Anthroposophical Spiritual Science And Medical Therapy” Series, Rudolf Steiner talks about the dangers of fanaticism and the long term effects on the human organism with regards to consuming purely a raw diet becoming so prevalent today: “There must really be no fanaticism of any kind in medical art—for example, fanatical adherence to an uncooked diet. A raw food diet also entails the exclusion of cooked plant substances obtained from the part of the plant lying toward the root, and this generally has definite consequences for the human organism: it slowly undermines the health of the respiratory system. A destructive influence on the human organism of this kind can continue for a long time, since it is not so easy to destroy this organism, but fanatical adherence to uncooked food will in time lead to shortness of breath or similar symptoms.” As far as we can ascertain, resonance, principled science and balance are key to a healthy regimen. I too can personally substantiate similar results. When, 20 years ago, I went on Weight Watcher’s Fat and Fibre Diet, eliminating most all fats from my diet, I became so sick and hypoglycemic, I almost died. In fact, my sugars measured so low during a fasting blood test, I passed out, having to be revived by the nurses and doctors in the clinic. The doctor told me that I was measured at less than 1 and that 0 was death. Arcanum’s own Jeff Korentayer is also an “O” blood type and lived as a vegetarian for 8 years, causing a host of symptoms he still has to manage including a permanently damaged thyroid and an enlarged goitre. He still can feel a compromise in energy on occasion and needs regular doses of iodine to keep his system bolstered. Mercola goes on to say, “It is sad to see that many staunch vegans and vegetarians fail to even acknowledge that anyone is designed to have animal protein. Unfortunately they are able to convince many with seemingly compelling information like Campbell’s China Study and as a result, many people continue to suffer from not including vital nutrients in their diet — nutrients they were designed to eat. Ultimately, if you are sincerely honest and seek to understand what diet is best for you, it is my recommendation to abandon any previously held convictions you might have about diet and listen to your body.” While “A” Blood Types will generally do well with a mostly vegetarian fare, a “B” blood type thrives on foods higher in purine like lamb, venison and rabbit. They also thrive on raw dairy. Again, I will often hear fears towards this super food that has been consumed safely for over 6,000 years. Dr. Mercola suggests, “My recommendation to everyone is to try cheeses made from raw milk and compare them to cheeses made from pasteurized milk. I’m willing to bet that most of you would agree the taste of raw cheese is far superior. This is so well known, no self-respecting cheesemaker would ever choose pasteurized milk over raw when making cheese, because the properties are entirely different – it’s basically damaged goods.” Enzymes and nutrients are actually destroyed in the pasteurization process, although necessary to protect folks from harmful bacterias associated with cows wrongly fed on brewer’s yeast and treatment with antibiotics for infections in udders and hooves, indicative of cash farming. A lot of your pasteurized milk from grocery stores comes from cows who have never seen the light of day, standing in their own feces for hours at a time causing them to suffer hoof rot. My friend and raw dairy farmer, Michael Schmidt, who raises cows naturally, walking them to pasture year round after every milking, states that you want to pasteurize the milk that comes from cash farming as it would be dangerous to consume otherwise. In summation, it is best to eat based on typology and science as opposed to fad or belief. One humorous example of this can be found in the Guinness World Book of Records, where you can find a story about a man who ate an alarming amount of metal over a two year span. Until he died in 2007, France’s Michel Lotito had eaten two pounds of metal every day for more than 40 years, and he still holds the Guinness record for the world’s “strangest diet.” To cement his title, he dismantled a 1,111-pound Cessna 150 airplane and ate it — piece by piece — over two years. Apparently though, bananas and hard-boiled eggs made him sick to his stomach. This is just an example that it takes a strong sense of self to be able to metabolize any type of food. We can make it easier on ourselves by eating out of knowledge, typology, and resonance in order to maximize our health before we start working on eating a Cessna! We thank you for this refreshing bit of wisdom. I, too, have gone [temporarily] vegan and nearly died. It took me years (and still working on it) to rebuild my energy body. Different people require different types of life force energies. I don’t believe that we need another diet, workout manual or personal trainer. I go within, listen to my body, and treat it with all the dignity and love that my self-respect demands (words borrowed from Dr. Wayne Dyer). I send blessings to the collective consciousness of the animal kingdom, and do my best to be selective as to where my beloved meet comes from. When I’m healthy, I’m better able to serve our human ‘collectivity’. It’s a personal choice to be vegan, vegetarian, etc. Blessings to Allyson, Jeff and our collective soul. All food…no pun intended…for thought. We have been more conscious of our food and the energy it brings to us in addition to the nutrition. What a fun journey it is. My mother is an O blood type and my brother wanting her to be a vegetarian like himself gave her the book “The China Study”. Not using her common sense she felt so awful after reading this book so stopped eating meat and soon became anemic so much so that she started taking iron pills. I to struggle with the guilt of eating animals which I love dearly but I know that because I am an O this is right for my type and my health is the most important thing to me. Thanks for this. I will pass it around! This is a timely article for our family, as we are in the process of making a major decision about our household diet. My husband and I have been mostly vegetarians for years (we do eat fish about once a week, so that’s why I say “mostly”). Both of us began to eschew meat because of the farming practices (cruelty, antibiotics in the feed or injected into the animals, unsafe butchering/processing practices) and because we understood that animals, being higher on the food chain, contain in their flesh a higher concentration of heavy metals and environmental toxins. Our son has been raised on the same diet (although we have never forbidden him to try meat if it is offered to him outside of our home). However, lately, with the recent availability of locally farmed, organically grown, cruelty-free meat, we’ve been considering bringing meat back into our diet, at least occasionally (a major culinary step for me, since I never learned how to cook with meat!). There is also an argument to be made for the sustainability of eating meat in a region where it’s arguably more ecologically “sustainable” to harvest a moose than to eat tofu imported from Asia. Anyway, thanks for the interesting read.